Good news for the Eurozone in data released today. The area grew 0.6 percent in the first quarter, faster than either the US or UK, and finally surpassed the level of GDP achieved before the global financial crisis (the US and UK did this 2-3 years ago). Perhaps the most striking performance came from France, whose national data show quarterly year-on-year growth of 0.5 percent. This made me think. 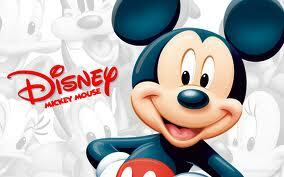 France may have sclerotic labour laws and a self-serving bureaucratic elite. But it is still a relatively grown-up country. France’s productivity record is way better than the UK’s. Its people at least live on the same planet as the Utopian economic dream by which they live. Unemployment remains grotesquely high, but growth has returned and Hollande can hold his head higher as he drives around Paris on his union-built scooter. In Spain, too, growth has returned, despite even more grotesque unemployment following the country’s presumably acid-induced foray into the Anglo-Saxon never-never land of post-industrial, debt-fuelled, realestate driven, marginalist economic voodoo. In sensible Germany, of course, with its revised labour laws, continued commitment to equitable growth, and its serious leader, life inevitably goes on in the sort of steady-state fashion that Anglo-Saxon economists fantasise about. Largely, I suppose, because they don’t have any Anglo-Saxon economists. One can quite reasonably choose between any of these poisons. However, one poison is to be avoided. The Italian one. Not Anglo-Saxon-Spanish. Not Utopian French. Not sensible German. Instead, directionless decay. This, I suspect, is the price to be paid for not believing in principles. Or indeed, anything. Here are current GDP levels of the different countries rebased to 100 in Q1 of 2008. Since I am sort of on holiday this week, I have decided that everybody else should be too. So here is weekend reading re-dressed as holiday reading. 1. First up, to get us started, a great discussion of the role of alcohol, and of alcohol addiction, in writing. Here are three articles on questions of race and nationalism. 2a. Orville Schell and John Delury offer a thoughtful piece about China’s need to move on from the narrative of national humiliation that the country’s schools and politicians have fed the population ever since 1949 (and indeed longer in the case of early converts to the communist party’s cause). 2b. In the United States, Barak Obama can no longer avoid speaking out about the Trayvon Martin case. 2c. Philip Stephens in the FT (sub needed) reflects on the mindless racism of Italian politics, but ends with his ideas that just maybe Gianni Letta represents change. Would that it were so! 3. Third, a near miss. Gideon Rachman in the FT (sub needed) has a thoughtful piece on Putin’s Russia but fails to nuance it with what Putin’s government is doing to put Russia back on an economic development path — in essence, reining in the oligarchs and bringing cash flows from national mineral assets back under public control. Putin may be a revolting man, and yet may also be a revolting man whose time has come. 4. Finally, a heartening curiosity. Teach First seems to be working. It is now Britain’s single biggest recruiter. So it turns out that smart people often do care, and don’t reflexively sell their souls to a law firm or investment bank. Italy gets a government that surely cannot last, led by a ‘left-wing’ politician whose uncle is the chief of staff to Silvio Berlusconi. Front up a younger guy and put more women in the cabinet so the Germans think we’ve grown up, seems to be the plan. FT (sub needed) has a sensible leader about how political reform may be the only way to unlock the door to economic reform. Meanwhile, in The Guardian Simon Hattenstone writes about his long correspondence with Amanda Knox, who faces a retrial for failing to be guilty of murder when everybody in Perugia knows she’s a witch. In Spain, Almodovar has a new movie out about his country’s economic crisis. It sounds dark, funny and uplifting — whereas Italy has become shallow, unfunny and boring. I quite like Krugman’s habit of leavening his blog with some decent music. And he has this very funny take-down of the Reinhart-Rogoff controversy over the relationship between debt and GDP from Colbert (you may need a VPN set to the US to view this). The theme of picking your data points to fit the hypothesis you already decided on is entirely consistent with what How Asia Works describes happening in World Bank reports about east Asian development in the 80s and 90s. Harvard, eh? Martin Wolf (sub needed) has a nice reminder of British industrial revolution history when debt was twice GDP. The best thing in How Asia Works on the non-linear relationship between debt and GDP growth is the financial history of South Korea, set out in Part 3. South Korea was more indebted than any Latin American state in the 1970s and 1980s but, unlike them, didn’t go bust because of what the debt was spent on. If you are in London, this is superb. And very much on the theme of development. A day in London allows for a few minutes talking about How Asia Works on CNBC here, and a longer discussion on the UK’s Monocle Radio ‘Globalist’ programme, (beginning at the 16 minute mark). In between I decide to spend a couple of hours wandering the corridors of the Royal Courts of Justice, as the large building that contains the High Court of Justice and the Court of Appeal on The Strand is confusingly called. The place is of interest to anyone who wants to understand the need to constantly reform institutions. In particular, Italians should visit this building. It was constructed in the late 19th century to stop the British justice system being what Italy’s is today. Before anyone enters, the essential book to read is Charles Dickens’ Bleak House, probably his greatest, which centres on a legal case that has multiplied and gone on for so long that no one can really remember exactly what the case is about, or quite why it started. People just attend hearings because the case(s) has(ve) taken on life(ves) of its(their) own. All that is clearly remembered is that the whole, huge, expensive, draining, painful affair concerns the Jarndyce family, which is enshrined in the case name, Jarndyce v Jarndyce. The different sides of the Jarndyce family just do what the lawyers tell them, and the case does not end until it has consumed all the family’s money, and caused the death of a sympathetic character, because the system makes it possible for cases never to end. Things were so bad in the British legal system by the 1860s — students of development should note that this had not stopped the British economy growing and becoming the world’s most powerful — that there was eventually a cross-party consensus that radical reform was necessary. A royal commission (essentially an independent review) was set up to consolidate a morass of different legal institutions under one roof, streamline procedures and simplify judicial processes so that the system worked. The Royal Courts of Justice, which opened with their 18 (now 88) courts in 1882, shunted Britain on from the world of Bleak House. Opening the court, Queen Victoria’s speech stated the aim was to ‘conduce to the more speedy and efficient administration of justice’. Almost always, you can just wander in to a court here and sit down and listen to what is going on. I spent half an hour observing the goings on in each of two randomly selected courtrooms. 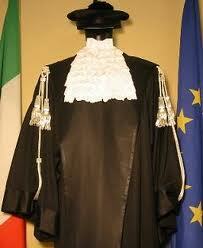 In Italy, I haven’t seen courtrooms beyond the provincial level (except on television). But some very loose points of comparison can be offered. Here in London there is no chatting during court proceedings, no playing around with mobile phones, no lawyers saying hello to their friends and colleagues in court while ignoring their clients, no male lawyers dedicating their working day to trying to flirt with any woman in sight. And everything is taped. When I once asked to tape record proceedings in an Italian court the judge grudgingly acceded, but with a look that suggested I was proposing a coup d’etat. Unlike Italian courts, the Royal Courts give a sense of being places where stuff gets done. This is not to say that there isn’t plenty wrong with the justice system in the UK. However, compared with Italy, this is the modern world. 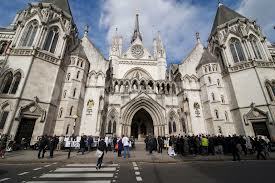 The Royal Courts are a living museum of institutional development that is well worth a visit. For the kids, there is a room displaying all the silly outfits that judges and lawyers have worn over the years — and thankfully wear less of these days. The grown-up exhibit is the institutional progress captured in quite a beautiful building with its varied, interesting and business-like courtrooms. Could Italy have the same thing in the foreseeable future? One way to consider this is to remember that the leaders who made the British reforms of the 1870s possible were Gladstone and Disraeli, working in concert. Would you consider that any of the putative ‘reformers’ of contemporary Italian politics — Monti,Berlusconi, Bersani, or Grillo — is in their league? Imagine this in Italy: Edwin Wilkins Field, one of the key reformers and the Secretary to the royal commission of 1865 on the Royal Courts of Justice, declined remuneration! Evolution continues: didn’t have time to go see it, but the latest addition to the Royal Courts is the Rolls Building, opened in 2011. Today’s papers report that an 80 year-old former Christian Democrat is to be chosen as Italy’s new president. It is like the declining days of the Soviet empire, starring gerontocrats whose names no one could even bother to remember any longer. 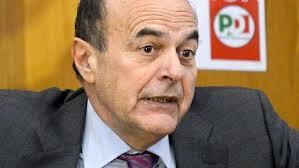 Berlusconi, it is said, wants Franco Marini because, in part, he thinks he will shield him from prosecution. Bersani, we can only presume, wants Franco Marini because he is even less capable of looking beyond the old Italian politics than Berlusconi is. The upshot of all this must be that Italy returns to the polls in July. 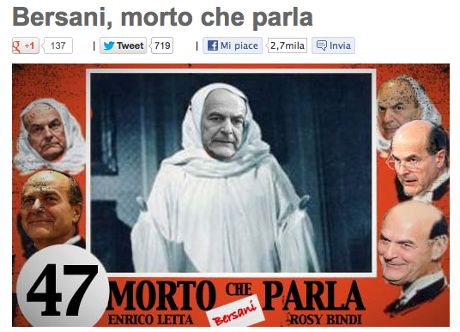 Bersani will go. The left will come up with a new leader, most likely Matteo Renzi, and then we will see if he has any policies. The Unspeakable Truth, however, is that only Thatcherite shock that breaks up an ocean of vested interests can work for Italy at this point. But who dare say this, let alone do what is necessary? My guess is no one, which pushes me to the conclusion that the likelihood of Italy leaving the Euro is now 50:50. Italy can leave, devalue, and squeeze a few more years out of its existing economic model. Growing up is a choice, not a compulsion. Corriere della Sera (in Italian) reports that Marini did not get a quorum of votes in the first round, but there will be another vote today. 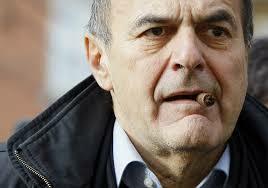 Word is that Bersani’s party is splintering as the votes go forward. FT (sub needed) on Marini. AFP backgrounder on Marini. Heartwarming tales of childhood poverty, though apparently he ‘kills with a silencer’. 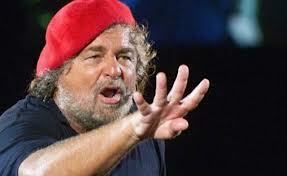 Grillo rails against Marini in one of his piazza screaming events. Guy Dinmore in Rome has filed an excellent, long article about the state of Italy for the FT (sub needed). A brilliant Italian solution. Unable to agree on a new president, the politicians re-elect the previous one — spritely 87 year-old Giorgio Napolitano. The first rule of Italian politics is observed: if in any doubt whatsoever, do nothing. Having failed to broker a deal to form a government in his first presidency, Napolitano now has seven more years to create one. Moreover, if he gets a third term in 2020, he’ll be 101 when he retires. Really super. Upset, perhaps, that Italian politics is grabbing all the attention in the wake of recent elections, Italy’s judges are making a bold move to have the spotlight of international incredulity shine once more on their egomaniacal antics. The national appeals court, the Court of Cassation, has sent the Meredith Kercher murder case back for a third trial, this time in Florence. The headline reason (we won’t get the detailed ‘reasoning’ for up to 90 days) is that elements of the second trial were not conducted according to proper procedure. To which the only response is: perhaps, but this is Italy, the Land of Unprofessionalism, where nothing is done entirely according to the rules. On the other hand, the evidence that Sollecito and Knox were not responsible for the murder, that Rudy Guede was, and that police and magistrates broke countless laws in the course of the investigation and trial, is incontrovertible. Nothing can now change the fact that the investigation of Meredith Kercher’s murder was staggeringly unprofessional, and that the handling of the physical evidence was disastrous. These facts should have pointed Italy’s judiciary and its politicians to the need for urgent, radical reforms to the judicial and police systems (as recommended by the EU Commission, see below). Instead they are creating additional unnecessary pain for a large group of people, most obviously the victim’s family. And as ever in Italy, it is all done behind a gossamer veil of ‘propriety’. Guardian on the Court of Cassation decision. In just over a month, Amanda Knox’s book about her experiences in Perugia will be out. One assumes that Giuliano Mignini will fire her off one of his suits for criminal defamation, as he did when Sollecito’s book was published. It is political impasse in Italy. In the fourth quarter the economy shrank by 2.8 per cent compared with a year earlier; it has been in recession for the best part of two years and shows no sign of improving. Pier Luigi Bersani is trying to form a government, but no Italian can say with conviction that the left offers a way out of Italy’s morass. It is a pipedream to think the country can pursue a ‘left-wing’ economic strategy that requires a high level of social trust and professional conduct among the population. Trust and professionalism barely exist in Italy. This is not Germany, or one of the Scandinavian countries. It is a nation where lawyers and accountants lead the way in cheating their taxes. There is no foundation on which to build a socially advanced economy. To construct such a foundation, Italy has to turn right if it wants to arrive on the left. The labour market must be deregulated so that older people do not retain jobs at the expense of mass unemployment for the young. The structure of the judiciary must be turned upside down and the professional classes held to account so they begin to provide some basic moral leadership for the country. Stuff like not taking cash payments for legal work or reflexively advising clients how to dodge their taxes. The era when Italy needed bureaucracy in order to guide its economic take-off is long gone. Now Italy needs meritocracy and responsbility — from its professional classes and from its organised labour. The country is simply too backward to progress by moving left. First it has to go right. Which is why Beppe Grillo was correct on Monday to threaten to leave politics if M5S forms a government with Bersani. The real problem is that Italy does not have an economic ‘right’. 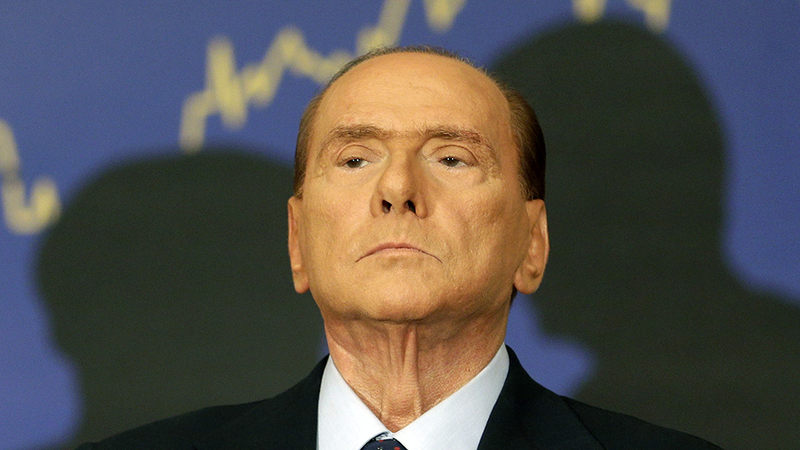 Berlusconi did almost nothing to restructure the economy in four terms of power. He is mainly right-wing in the sense that he is crass, racist and contemptuous of ordinary people. Monti is also not of the economic right. He is patrician, a veteran of the old Italian developmental state and the new, more northern European politics of Brussels. Fitch downgraded Italy again on Friday (FT sub needed). Very good work from Gideon Rachman in the FT (sub needed), who explains why Beppe Grillo is not the same as Benito Mussolini. ‘Parties, he [Grillo] is adamant, are the problem, not the solution.’ I don’t think Grillo has ever said or believed this. Indeed he is urging the proper parties to get on and announce policies that will command the support of the electorate. 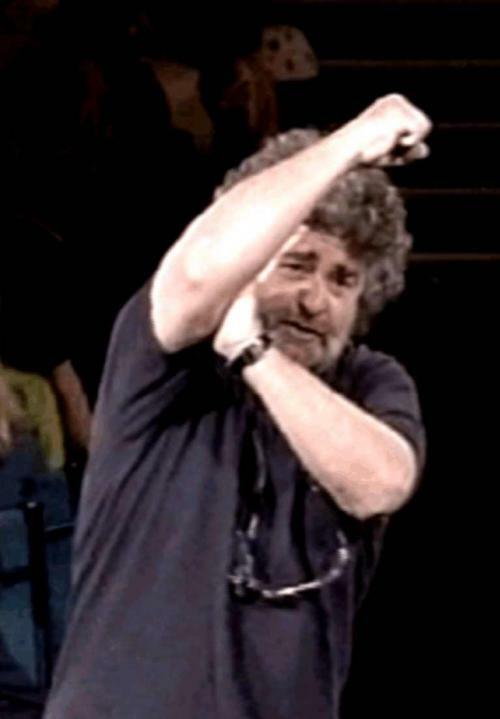 ‘Grillo, a former communist, was banned from national television in the late 1980s as a result of his defamatory performances.’ It is political convention in Italy that public service television stations are controlled by the major political parties. The private stations that everyone watches are controlled by Berlusconi. No one who makes good political jokes gets on television (that’s why there is no comedy on Italian television). This has nothing to do with defamation. 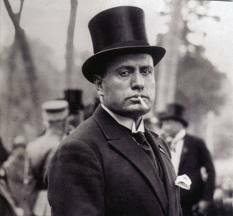 ‘Whereas Mussolini spread the word through his own mass daily newspaper Il Popolo d’Italia, and enforced it by means of his blackshirts, Grillo does so through his website, Il Blog di Beppe Grillo, and violent verbal abuse and ostracism of opponents. Whereas Mussolini travelled by train to his rallies, Grillo travels to his by camper van.’ As above, established political parties in Italy have or control their own television stations and newspapers (and banks, and supermarkets). Grillo uses the internet because it is the only affordable entry point for a non-established party or non-billionaire. On travel, I am not clear how Mussolini on a train is the analogue of Grillo in a camper van. What is The Spectator’s approved pro-democratic vehicle? BMW 5-series? Range Rover Evoque? ‘Italian fascism, even though no one is allowed to say so, was a left-wing revolutionary movement which Mussolini founded because the first world war had made him realise that the proletariat is more loyal to its nation than its class.’ It is the nationalism, the racism and the militarism that largely makes fascism fascism and different from socialism. Hence the term national socialism. However the idea that fascism is left-wing and, by implication, right-wing extremism does not exist is so good that it is repeated a couple of pars later: ‘Like fascism, Grillo’s movement is essentially left-wing.’ This is what the 15 nuts who buy The Spectator read it for. Gideon Rachman also points out that after the monumental Iceland crisis, voters elected a stand-up comedian mayor of Reykjavic. Now they’re on the mend. 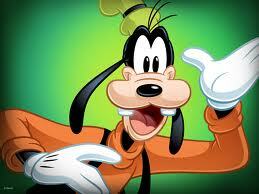 At least Goofy never recorded a theme song or patted a rock. After only a quick sniff, Goofy has rejected the bone offered to him by Donald Duck. Worse still, Goofy stayed up all night making a digital collage of Donald Duck in a death shroud, declaring (and I have to say I sympathise) that any self-respecting duck who had led his followers to such a disastrous showing in this week’s Disneyland election should have resigned immediately. Ora questo smacchiatore fallito ha l’arroganza di chiedere il nostro sostegno: “So che fin qui hanno detto ‘tutti a casa’ ora ci sono anche loro, o vanno a casa anche loro o dicono che cosa vogliono fare per questo paese loro e dei loro figli“. So much for dogs being ‘best friends’! As part of a ‘truly yummy’ meal for the dog (or mouse), Donald said he would also serve up a special gravy called ‘Disneyland political and institutional reform’. However Donald failed to specify any of the ingredients. 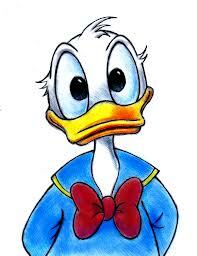 Donald also said that he will not be resigning as leader of the Disney left since, unlike Italian ship captains, ‘I do not leave my ship [just because I have created a large hole in its side]’. 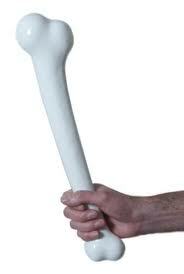 Goofy is expected to spend some time sniffing the bone. Corriere della Sera coverage of Donald’s press conference is here (in Italian), including video and details of his statement about not leaving ships — ‘non sono uno che abbandona la nave…’. Click to subscribe to this blog and receive new posts (or notifications thereof) by email. Expect about one post a week. Only fresh posts are sent, not subsequent updates. Which countries in Africa will get their act together? Baseline Scenario About the US economy, mostly. These boys are not too funny (they are economists) but they put in serious hours on this site and it is worth reading. Johnson is a Brit former IMF economist with perspective. Updated daily. John Kay About Britain and micro-economic issues. Research-heavy analysis rather than opinion. One of the few people with really clear ideas on bank regulation, but not yet (for me) fully thought through. Krugman Posts multiple times a day cos he’s manic. I was at a boring conference with him where he appeared to take frantic notes. Later transpired all he had written on his pad was ‘I need a beer’, about one hundred times. Still got Nobel. Martin Wolf (FT sub needed) Particularly good on Europe. During his life, Wolf has fallen in love with — and then become disillusioned by — the Labour Party, the World Bank, and perhaps now globalisation. The constant is his hunger for answers. The Big Lychee About Hong Kong. Affiliated with Hemlock, the exquisitely misanthropic, underemployed, billionaire’s gweilo running dog. Original Hemlock files available. Updated every day, because the author has a huge salary and nothing better to do.